Last night, Eastern Washington's men's basketball team scored 112 points against Portland State. That number is impressive, but more insane is the fact that they hit 20 three-pointers (on just 31 attempts, a school record.) Five Eagles finished in double figures and the team shot 64 percent from the field. If those numbers, and the fact that EWU is scoring 104 points per game at home in Big Sky Conference play this season aren't enough to get you out to Cheney for tomorrow's game against Sacramento State, the EWU athletic department has a few more enticements to lure you to Reese Court. 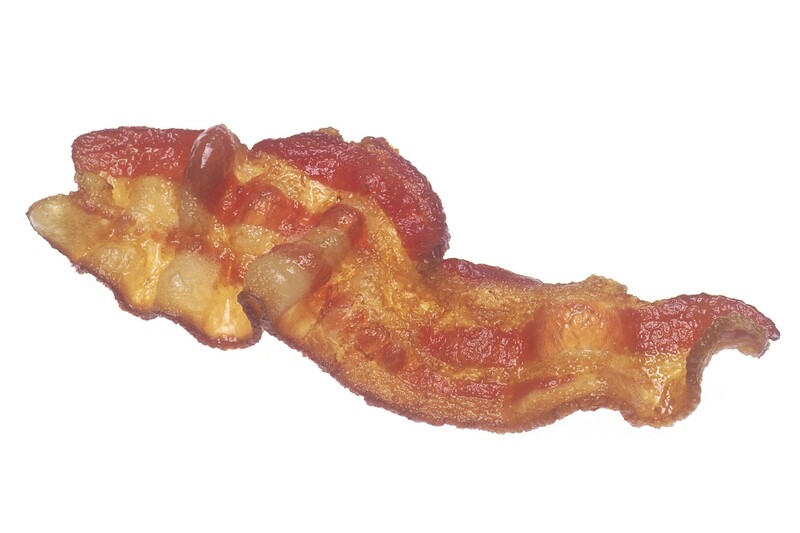 First off, if you're an EWU student, you could get yourself some free bacon. Yes, bacon. The first 300 students through the door get bacon. This is not a joke. There might be no such thing as a free lunch, but, apparently, free bacon is a very real thing. For the rest of us, we could get a free Eastern basketball shirt. Those go to the first 1,000 people through the door to help with the "Red Out" planned for the game. Tip off is set for 12:05 pm. Here's where to get advance tickets.